Capt. Bob Hayner has been guiding clients for 30 years on both fresh and salt water. He lives on the lake, and keeps a constant pulse on the fish movements and activity. He specializes in light tackle sport fishing. Whether you are entertaining clients or spending a day with family and friends, with Capt. Bob you can expect professional, reliable and courteous service. First mate ms with her first 10 lb walleye! 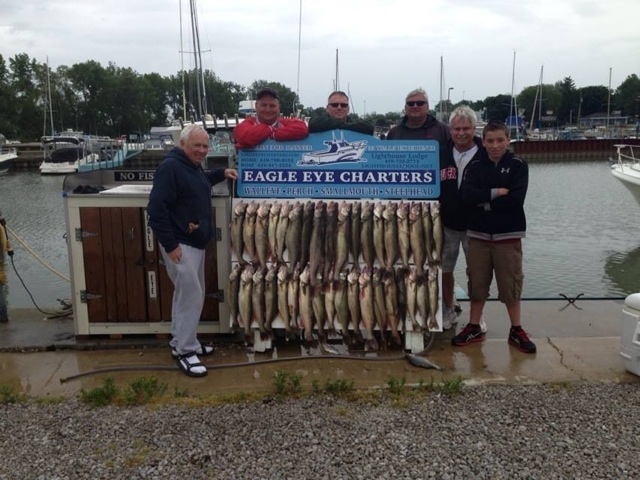 Copyright www.eagleeyecharters.com. All Rights Reserved.